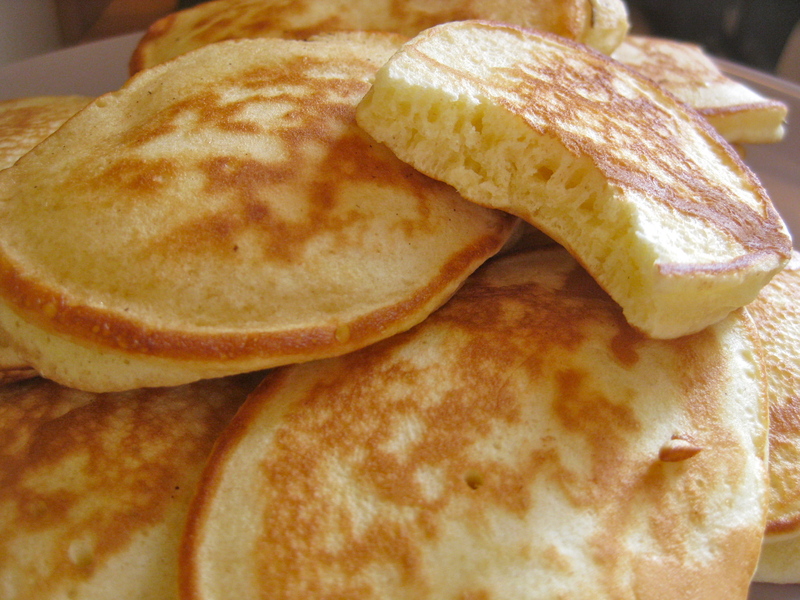 Perfect for afternoon tea, pikelets are so quick and easy to make. Not all recipes are created equal however, I have made some terribly sloppy ones in the past. This is my favourite recipe, that I whip out every Friday afternoon as an after school treat. These ones come up so light and fluffy. This recipe makes the perfect amount and have just the right level of sweetness. We eat ours with maple syrup, because the only way I could get the boys to try them was to say they were mini pancakes, but I like to eat mine with a smear of butter and dollop of strawberry jam. Put a dollop of butter in a frying pan and drop little spoonfuls into the pan. Don’t walk away from these, they cook quickly.